Earlier this morning, Restore the Delta held a media call regarding the close of the comment period for the Bay Delta Conservation Plan. On the call today, economist Dr. Jeff Michael from the University of Pacific; Alex Aliferis, Executive Director of the Contra Costa Taxpayers Association; Bob Wright, Senior Counsel for the Friends of River; Colin Bailey, Executive Director of the Environmental Justice Coalition for Water, and Barbara Barrigan-Parilla, Executive Director of Restore the Delta. “I want to welcome you all to the teleconference at the close of the comment period for the Bay Delta Conservation Plan that would authorize massive underground tunnels to export water from the California Delta. 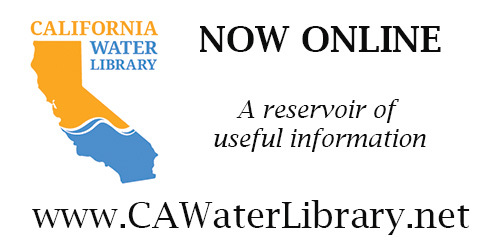 Tomorrow closes the public comment period for the most massive public works water project in the history of California. We will have a rally with hundreds of people and we will submit tens of thousands of signatures opposing this boondoggle, which is not a sustainable solution for California’s water challenges. Today we wanted to present several experts to give their summary conclusions if you will. I know that most of you have not had a chance to read the 40,000 page environmental impact statement that the Brown Administration has released. We believe that they have provided a mass of information without much illumination on key aspects, and you will hear today about fatal flaws in the funding plan, in the public outreach, in the lack of true alternatives, and in the contravention of the scientist’s red flags. We are going to take you through those, beginning with the economic aspects. Dr. Michael is a preeminent economist analyzing our region, but also has spent more time than any economist than the ones being paid by the state of California analyzing this project. He has commented throughout the past year and a half, and Dr. Michael will be our first speaker. After over 7years of planning, BDCP has yet to release a financial plan or cost allocation. In contrast, the high-speed rail project,much maligned for its financing, released multiple financial plans for independent peer review. BDCP is hiding their financing plan because they can’t produce a plan that matches their rhetoric. Seventy percent of Delta export water is used by agriculture,so it is important to remember that it is an irrigation project at its core, and the tunnel costs are just simply absurd for its meager water supply benefit to farms. The BDCP has not released a financial plan or cost allocation because they know viable financing will require shifting billions of dollars of cost and risk from irrigators to taxpayers. Furthermore, paying the colossal debt of the Delta tunnels will force Southern California and Silicon Valley to remain overly dependent on Delta water. It will reduce investment in modern, green eralternatives andtechnologies that have broad support across the state and would create jobs across the entire state. It’s no surprise to me that water districts are quietly discussing using property taxes for the tunnels,as this property tax commitment will be required by investors to purchase bonds for a mammoth project with such shaky financials. Funding the tunnels through property taxes may be good for Goldman Sachs, but it is terrible public policy for California.It will artificially keep the price of Delta water down, encouraging overuse and overdependence on the Delta, perpetuating the environmental crisis we have today.Furthermore, it puts modern, greener,and less divisive alternative water technologies at a financial disadvantage to the old concrete approaches of the last century. Since the BDCP process started over seven years ago, the cost estimates for Delta conveyance have increased from $4 billion to $15 billion, and the project is still only at a 10% design. The water supply and environmental benefits have declined dramatically,and seismic levee improvements have been shown to provide a broader range of economic and public safety benefits than the tunnels for a fraction of the tunnel’s cost. Many water exporters are getting cold feet over the costs,because the project that sounded great seven years ago doesn’t make sense anymore. It’s time for the Governor to drop the ruinously expensive,environmentally risky,and politically divisive Delta tunnels. Steve Hopcraft, moderator: Again, we are going to present several fundamental flaws, beginning with Dr. Michael pointing out that there is not a comprehensive cost benefit nor financing plan nor cost allocation. This would be required by law for any other project. Our coalition of opponents to the BDCP have consistently called for a comprehensive cost-benefit analysis such as are required by the state Department of Water Resources rules and regulations. The property tax issue is one that we believe has been intentionally hidden from the public because they do not want the public to know that they are going to be picking up the risks for this project. It has come to light most recently that property taxes are being looked at as the fundamental backstop and credit for the planning bonds are being issued. We’re talking about hundreds of millions of dollars of financial risk and financial obligation being put upon taxpayers and water district bill payers who do not know about this. We’d like to hear from one of the taxpayer association experts in the area, that is Alex Aliferis of the Contra Costa County Taxpayers Assocation. Good morning, my name is Alex Aliferis. I am the Executive Director for the Contra Costa Tax Payers Association. My comments today focus on the negative impacts to property tax payers and all state tax payers that could result from the construction and implementation of Governor Brown’s proposed twin tunnel project. In the BDCP Chapter 8 finance chapter, construction costs are estimated in 2011 dollars, which is $18 billion. Yet, there are not details about increases in construction costs over the life of the project, employee salaries, or pension costs. And there is no specific information as to where the funding will come from. According to an article dated July 23, 2014 in the San Jose Mercury News, entitled “Property taxes could pay for $25 billion Delta tunnels without public vote,” what is says is major water districts in California are quietly considering using property taxes — and possibly raising them without a vote of the public — to help fund Gov. Jerry Brown’s $25 billion massive tunnels through the Sacramento-San Joaquin River Delta. Water districts have not been up front about using property taxes to finance construction of Governor Brown’s twin tunnels. Groups have only learned about their intent to raise property taxes through Freedom of Information Act requests which have been shared with media and newspapers. That is because they are relying on obscure laws from 1959 to circumvent complying with Proposition 13, and as noted by the Howard Jarvis Tax Payers Group in Sacramento, it is questionable if their interpretation of these laws is even legal. 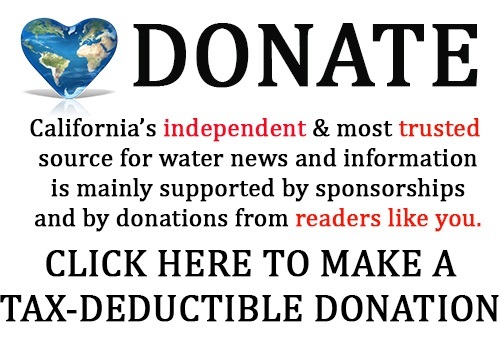 When we consider that primary beneficiaries of the project are large interests on the west side of the San Joaquin Valley, not our local Contra Costa farmers, and special interest water districts like the Metropolitan Water District, and urban residents will not receive any additional water from the project, it becomes clear that property tax payers are being misled by the State to subsidize special interest groups that influence the Governor’s office. That is why property tax payers are not being given a vote as to whether or not they support this project. Likewise, the Habitat Conservation Plan that is part of the BDCP will be paid for with general obligation bonds. The Legislature and the Governor continue to talk about a tunnel neutral water bond, but the truth is that Delta restoration dollars are dollars to pay for the mitigation of the damage that will be caused by the destruction of this construction. Again, why are California tax payers being asked to pay for a project that will subsidize a select set of interests? And what if tax payers vote against the water bond? Will the mitigation for the Delta simply be forgotten? And will the Delta simply an industrial eyesore after tunnel construction? There are a lot of questions with the financing. I will talk about two extreme, undeniable, abuses of the BDCP process—the first is the deliberate omission of any true BDCP alternatives, and the second is the deliberate BDCP website suppression of comments. First, the BDCP Draft documents fail to include any real alternatives. 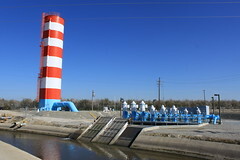 They all create a capacity to divert more water by way of new conveyance upstream from the Delta. The failure of the BDCP drafts to include so much as one alternative reducing exports – this is an undeniable fact established by simply reading the Executive summary, Chapter 3 of the Draft EIR/EIS, and Chapter 9 of the Draft Plan. 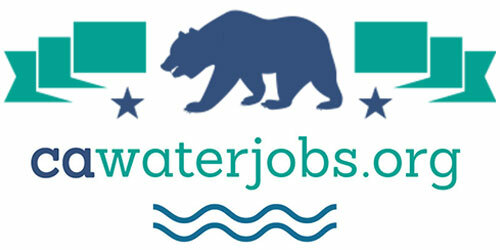 It is also an undeniable fact that the Environmental Water Caucus, a coalition of over 30 organizations including Friends of the River, pointed out to the California Resources Agency back on April 16, 2012, in writing and I quote: “The absence of a full range of alternatives, including an alternative which would reduce exports from the Delta. It is understandable that the exporters, who are driving the project, are not interested in this kind of alternative.” Now the Environmental Water Caucus transmitted the Reduced Exports Plan that it developed to the California Resources Agency back in December 2012. This BDCP process, concealing alternatives that would reduce the “adverse effects on certain listed fish species due to diverting water”, which is a declared BDCP Plan goal, is a deliberate bad faith violation of the alternatives analysis requirements of NEPA, CEQA, and the Endangered Species Act. This bad faith suppression of alternatives reducing exports was calculated to tilt the debate in favor of new conveyance and against reducing exports since no other alternatives are presented. The current BDCP Draft’s suppression of alternatives requires the preparation of a new Draft Plan and Draft EIR/EIS and a new public review period for the BDCP agencies to attempt to cure their fatal flaw. Second, there is the deliberate BDCP website suppression of comments. After the 40,000 pages of BDCP project advocacy were released in December 2013 for public review and comment, the agencies closed the BDCP website to the posting of comments and correspondence from the public. That again is an undeniable fact shown by simply going to the BDCP website. The BDCP agencies have tried to keep the public in the dark about alternatives and facts submitted by those who are not project proponents. I’ll now quote from a 2009 article from the California Management Review: “Across the globe, large infrastructure projects almost invariably arrive late, overbudget, and fail to perform up to expectations. The underlying reasons for all forecasting errors can usefully be grouped into three categories. Delusions or honest mistakes, deceptions or strategic manipulation of information or processes, or bad luck.” Now large California infrastructure project proponents are masters of delusion and deception as evidenced by the explosion of the forecasted cost of the new San Francisco-Oakland Bay Bridge span from $1 billion to $6 billion—and that scandal included the suppression by this same State of contrary quality and safety information as is being reported by the Sacramento Bee ongoing series. The deliberate suppression of alternatives reducing exports, coupled with the suppression of outside independent comments on the BDCP website, aids and abets the deception of the public about the environmental and economic adverse effects and true costs of the Water Tunnels. Our next speaker is Colin Bailey, Environmental Justice Coalition for Water, who will address the lack of outreach on environmental justice issues. I am the director of the Environmental Justice Coalition for Water, and an attorney. I begin my discussion this morning with the note that major water decisions in California have traditionally been dominated by elite interests to the exclusion of low income and people of color communities. In fact, EJCW, as we are known, formed in 1999 around the CalFed process, because environmental justice communities did not have a seat at the table in that process. Fifteen years later, we have to ask ourselves whether anything has really changed. Here, environmental justice communities are confronted with many of the impacts that the BDCP would bring. Specifically, subsistence fishers would have impacts to the fisheries, to California Indian tribes, it would disable Delta farming for many years, which is itself a multi-billion enterprise and would impact many of the farmworkers in San Joaquin County, and as other speakers have mentioned, the debt will fall most heavily on those least able to pay for it, California’s low income and people of color communities. The Delta EJ community, which would be the most impacted by the project, deserves to know the impacts most. EJCW’s members in the Delta have demonstrated that the outreach in that area from the Bureau of Reclamation has been woefully inadequate. In fact, the Bureau of Reclamation has a statewide environmental justice problem, particularly in the areas of non-English translations and outreach about costs. The Bureau has failed to reach out to the people who will be harmed by the greatest impacts of the project. For seven years, the Bureau has failed to include non-English speakers in the process because they failed to do any media outreach regarding meetings, and never often interpretive services at those meetings. They failed to translate key documents into Spanish, and even had they done that, which would have been a good first step, it would not help the many Cambodian, Laotian, Vietnamese and other communities who fish the Delta in the tens of thousands. I have personal experience trying to track down some of the supporting documents to the BDCP. And that which is purportedly publicly available, turns out to be an incredibly difficult process to access. In addition to being objectionable from the standpoint of environmental justice and democratic governance, these circumstances present, in our view, a violation of the National Environmental Protection Act, or NEPA, which does require that efforts be made to ensure equal participation, including pro-language minorities. Now as the public comment period comes to a close, I do not see how this fatal flaw can actually be remedied. What we do know is that the letter that we and others sent to the Department of the Interior on these issues is being taken very seriously. As many of you know, Restore the Delta has been an outside observer of the Bay Delta Conservation Plan since its inception. Over the last seven years, the proponents of the BDCP, along with the California Resources Agency, the Bureau of Reclamation and other Federal Agencies have worked to aid the water takers in the creation of this plan, while leaving the water givers out of the process –the water givers being our fisheries, our rivers, Delta farmers, Delta environmental justice communities, the 600,000 limited English speakers who reside in the five-Delta counties, Northern California Native American Tribes, commercial fishers, recreational fishers, Delta businesses, Delta marinas, local Delta government entities, the San Francisco Bay Estuary, coastal fishing communities, the 4 million people who live in the five Delta counties, and California’s property tax payers and income tax payers. 2) Under NEPA rules, Title VI and Presidential Executive orders, there is an obligation to include limited English speakers in BDCP outreach – this has not been done, and the civil rights of limited English speakers have been violated. 4) Water quality impacts on the Delta and Bay estuary are significant and adverse under the BDCP, as listed within the document itself, and that includes violations of the Clean Water Act and other water protection laws. 5) The tunnels will not make one gallon more water for the state – and the tunnels will not be in operation during dry periods, which is about 51% of the time, but the existing pumps will continue to be used during those periods. 6) The new intakes will create the famous reverse flows associated with the Delta pumps, it will just create those reverse flows at a new location, transferring the problem from one part of the Delta to another. 7) Water quality for the City of Antioch and Contra Costa Water District will be ridden with pollutants like boron and selenium at unhealthy, cancer causing levels. The document says that these problems cannot be mitigated, and the City of Stockton will be pumping salt water at its new water intake facility. 8)The largest strip of prime farmland in California, the Delta, will be destroyed by construction, and dewatering of farms during the 10-year construction period. 9) And lastly, numerous violations of the Endangered Species Act. To put it bluntly, fisheries will not be restored – they will instead continue to decline, as documented in BDCP’s own documents, and that decline will continue to the point of extinction. This is today why we are calling on State and Federal officials to abandon the tunnels project and to restart an inclusive process for creating water projects that will restore the Delta and manage California’s limited water supply in a fair and equitable manner for all Californians.